Padstow, North Cornwall. Sleeping 7. 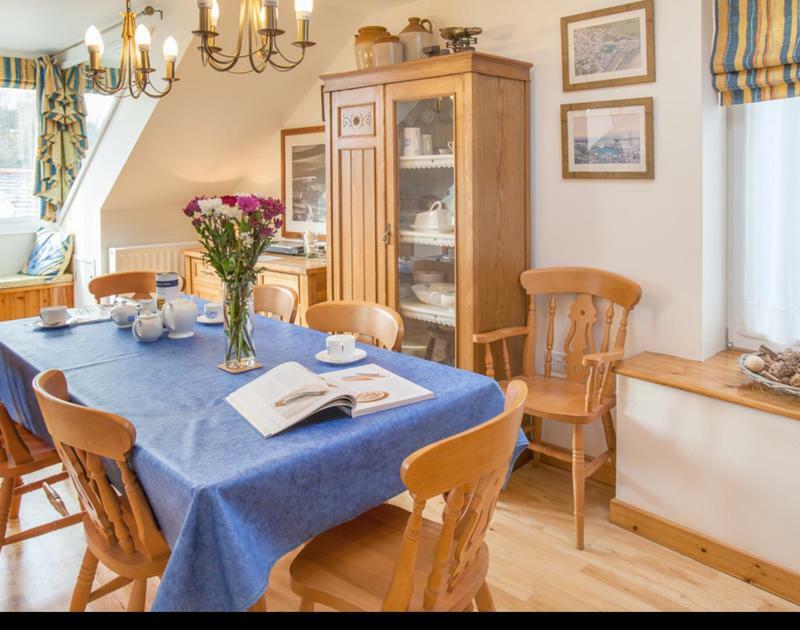 Sanders Attic is a spacious 3 bedroom property situated in the Old Town of Padstow, accommodating 7 people in style and comfort. 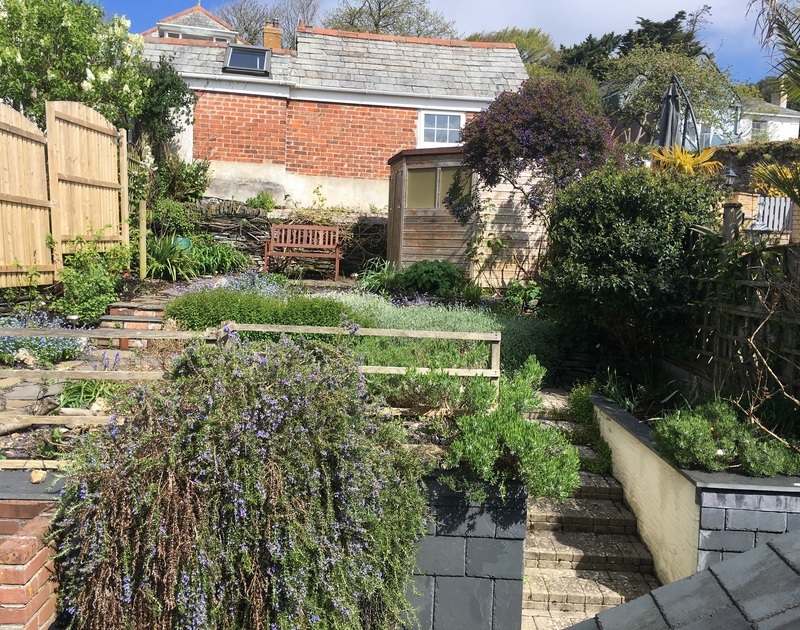 * Tiered cottage style terraced garden with an array of colourful shrubs and plants. Lovely views to Padstow Harbour from the Juliet balcony in the lounge and the garden. One well behaved dog is accepted at Sanders Attic. Bedroom 1: Master Bedroom with Super King Double / twin Zip and Link bed. Double wardrobe with chest of drawers, chair, bed side cabinets, valuables safe, and feature Gentleman's wardrobe. TV and hair dryer. En-suite Shower room with corner shower, WC and wash hand basin and cabinet. 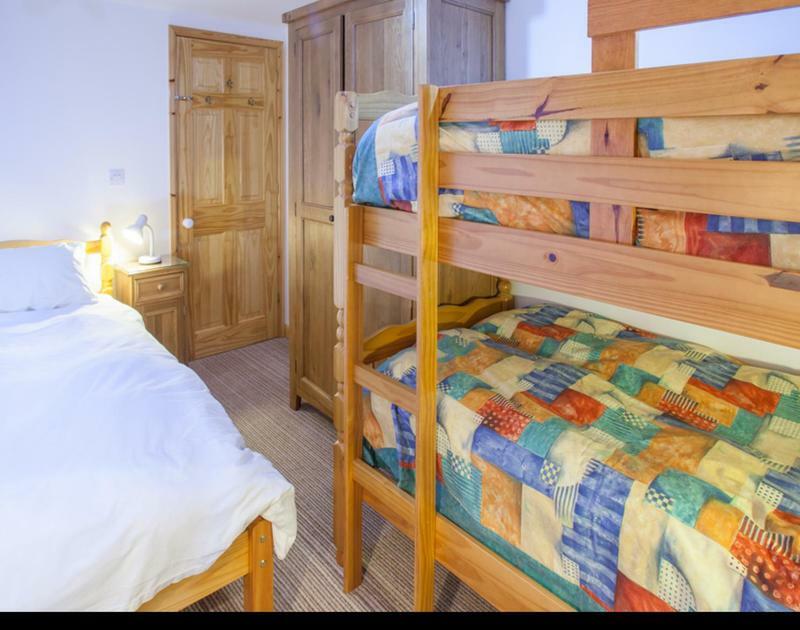 Bedroom 2 : Super King Double / twin Zip and Link bed, wardrobe, chest of drawers, bed side cabinets, Radio, Hair dryer. 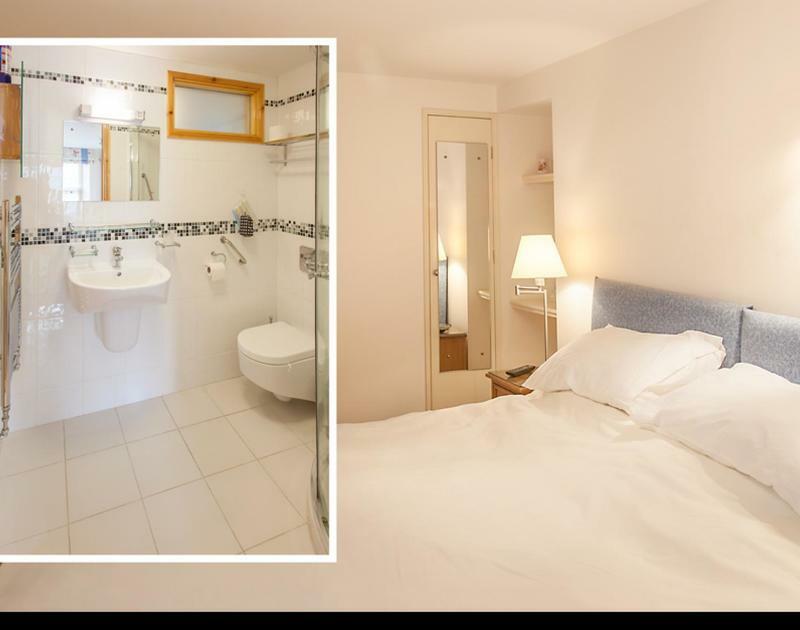 En-suite Shower room with shower and wash hand basin. Bedroom 3: Bedroom with single bed and bunk beds. TV, chest of drawers, chair, wardrobe and bedside cabinets. Radio and Hair Dryer provided. 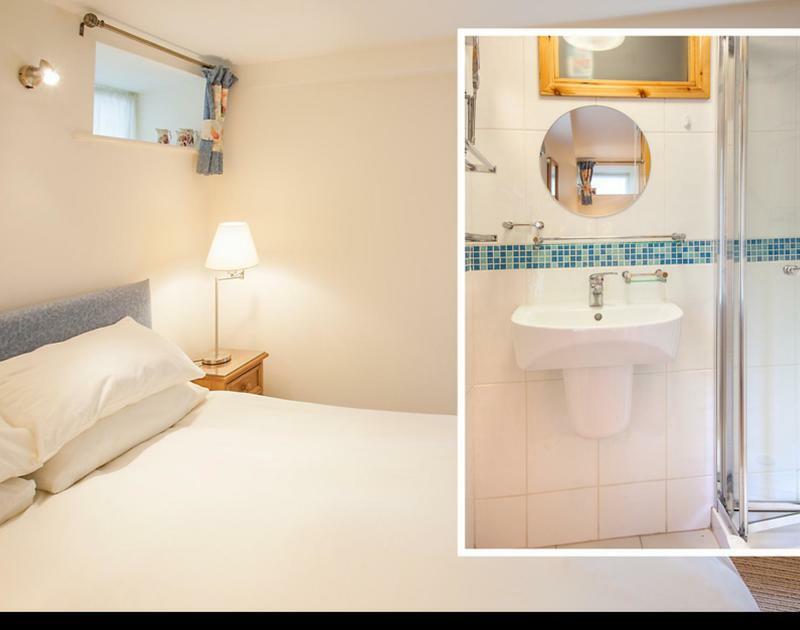 Bathroom with bath with shower over, WC, towel rail and wash hand basin. Cloak Room with WC and Wash Hand Basin. Bright open plan Living/Dining/Kitchen Area. Kitchen Dining Area with table and chairs seating 8. Cabinet with special edition "Sander's Attic" tableware. 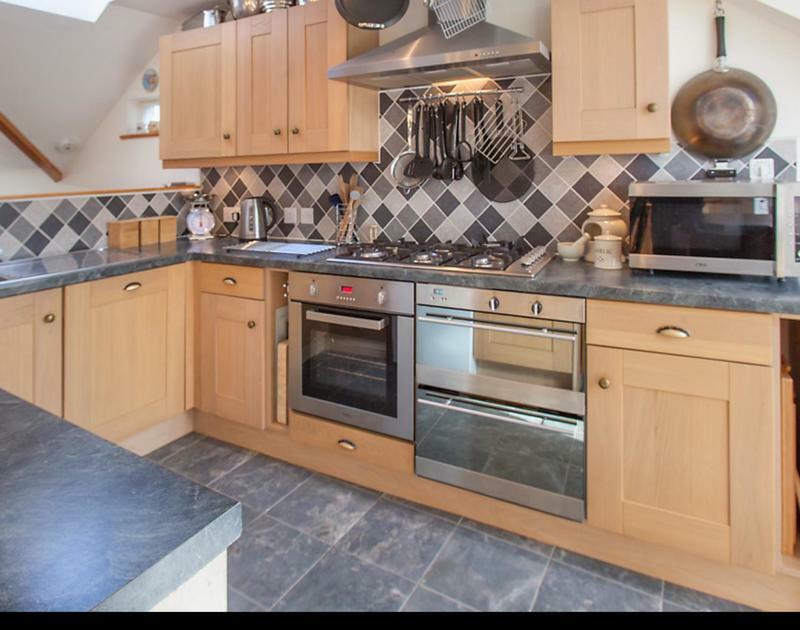 Stylishly presented Kitchen with 6 ring gas hob, electric oven, gas oven, fridge, freezer, dishwasher, food processor and an excellent range of kitchen cabinets. Oven gloves, apron and Tea Towels provided. Lounge with Juliet Balcony with views to the harbour. 3 seater and 2 seater sofa and 2 arm chairs. Bench/day bed and quality solid wood furniture throughout. 32" flat screen TV, DVD, Wi Fi and feature log burner style gas fire. Cloak Room with stylish wash hand basin and WC. Utility Room with bowl and 1/2 bowl sink, washer drier. Cupboard concealing centralised vacuum hoover facilities, outlets throughout the property. Staircase leading to patio and garden. Cottage style terraced garden with an array of colourful shrubs and plants. 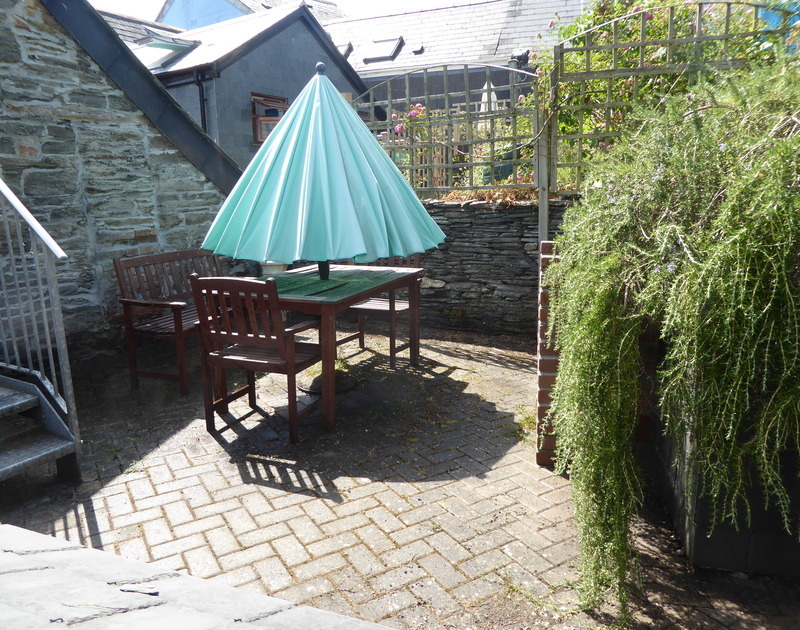 Patio with built in BBQ, garden table and chairs seating 8 people. Garden bench and shed. Storage for bikes and surf boards etc. Bed Linen, Towels, Beach Towels and Flannels are provided. Pet fee £25.00 per pet per week accepted. One well behaved dog is accepted at Sanders Attic on the basis of being allowed in the living area only and the Owner is advised of the age, breed and size of the pet. The owner provides pet towels to ensure the dog is thoroughly cleaned before entering the main part of the building. Parking – Further details to be found within our Information dropdown. Sanders Attic is a cream fronted terraced property situated where Duke Street meets Cross Street, and there is a sign for Sanders Apartments adjacent to the front access. There is one step up to the gated walkway, with the front door directly ahead of you. This door has a raised threshold and measures 30 inches/76.2 cm wide. There is a 13 tread staircase to the first floor, with a stair gate onto the first floor landing. 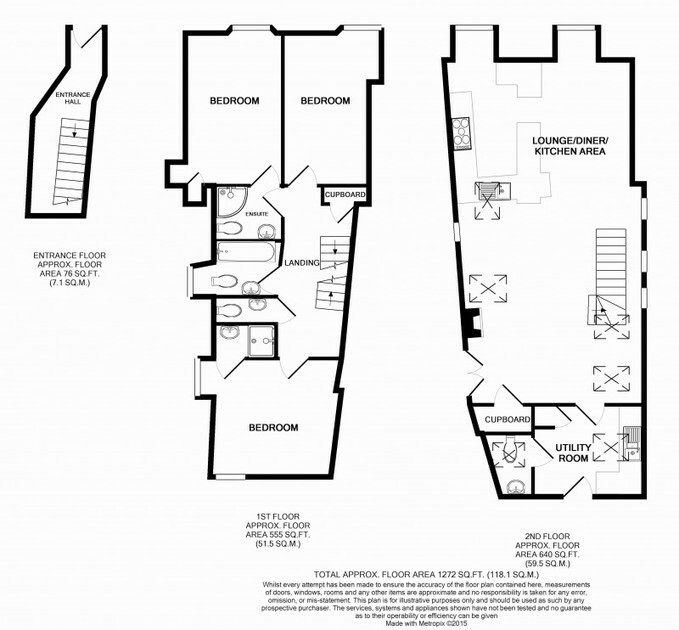 There are three bedrooms on this floor and the doorways all measure 29.25 inches/74.3 cm. The door to the en-suite in Bedroom One opens into the room and measures 26.4 inches/67 cm wide. 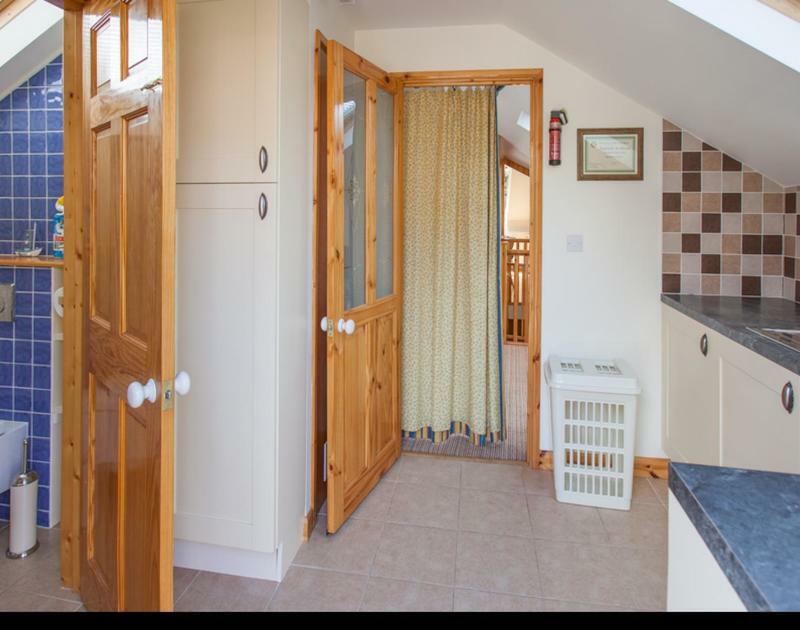 Both the WC and Bathroom doors open outwards, directly onto the landing and measure 26.4 inches/67 cm wide. A top winder staircase gives access to the Second Floor; this has a stair gate at both ends for safety purposes. There are 8 treads, 3 corner treads with a 90 degree turn to the right at the top of the staircase. In the open plan living area, there is a slight change to the floor level into the kitchen area. The door to the Utility room is 29.25 inches/74.3 cm wide. 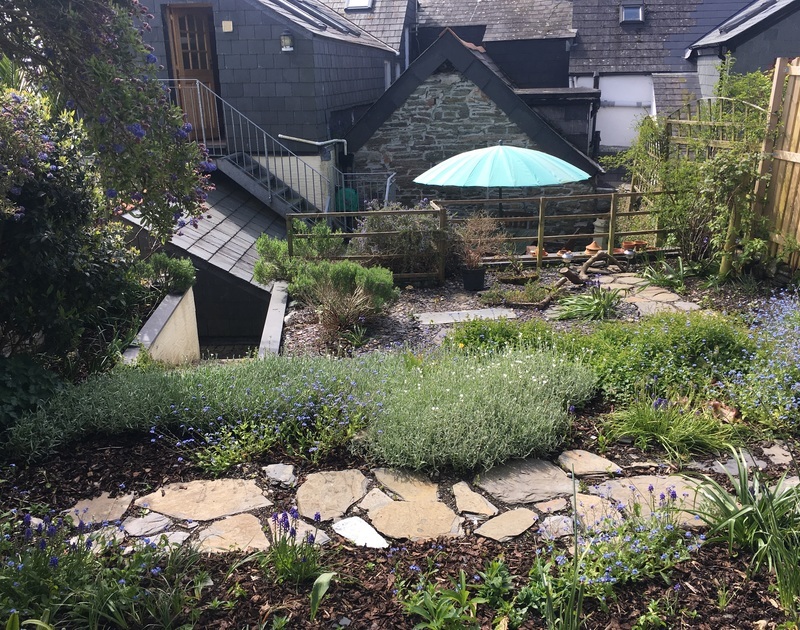 From here it is possible to access the rear garden via the Stable door which is 29 inches/73.7cm wide, with a raised threshold and one step down onto the top of the staircase to the terraced rear garden. There are 8 treads a 90 degree turn to the right and two further steps to the lower terrace. There are 8 steps and the path continues to the left and 3 further steps then take you to the top terrace with seating. 10/10 booking service from CRW Holidays. Sanders Attic is exactly as described in the brochure and on the website and re booking for 2019. First time stay for us - and unlikely to be our last, excellent facilities. Very convenient location. Absolutely Loved the place. Great Value for money rebooking next year. A Perfect Holiday Home. Our 5th Lovely year at Sanders Attic,, Thanks again to the owner for a super HOME for our holiday. 3rd Time at Sanders Attic, wonderful property with great facilities as ever ! A beautiful Home from Home we settled in straight away and have had a fabulous holiday. 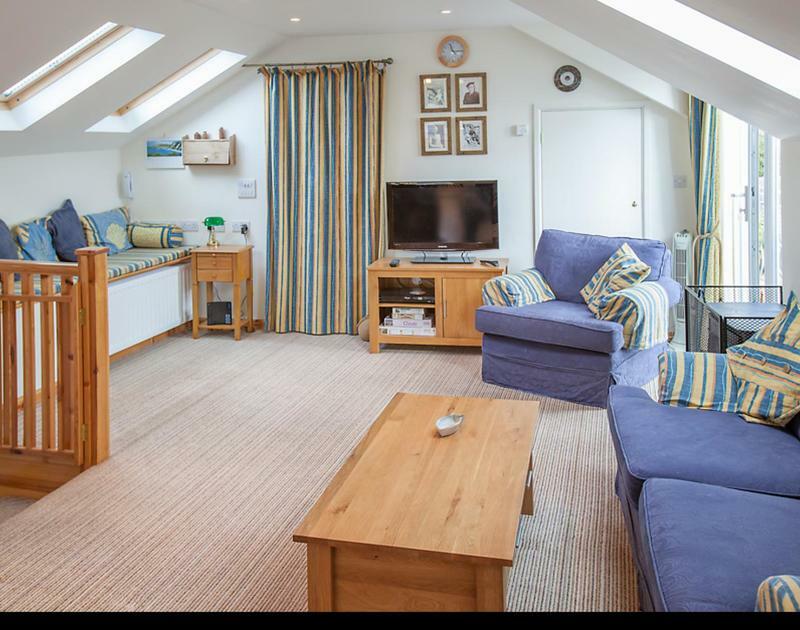 Loved The Attic and beaches just 15 minutes away. Contented stay, all excellent as per our last stay. Looking forward to next time. Another lovely week, our 4th year super year. 10 out of 10. 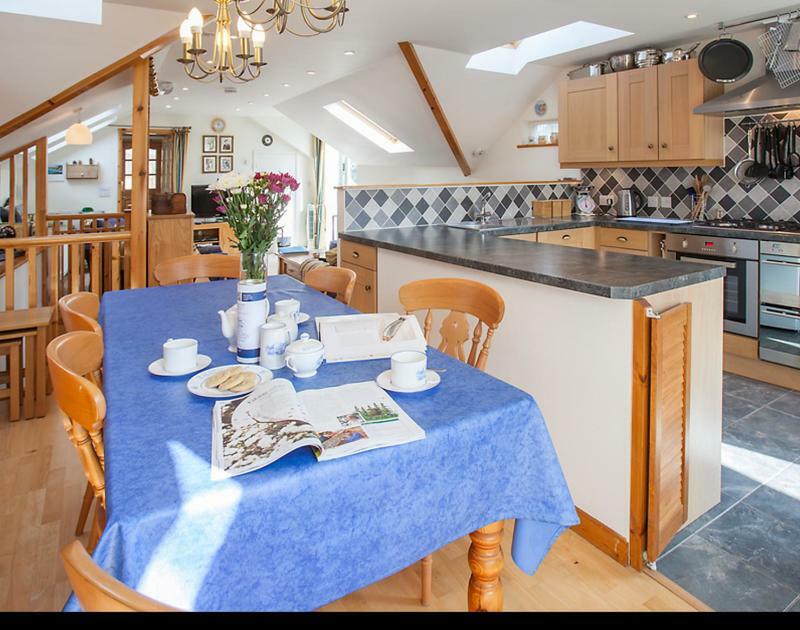 Excellent Booking Service and Clean Comfortable property in Padstow.